Entries will be accepted beginning Wednesday, April 24, 2019 at 12:01p and end at 12:00p on Wednesday, May 29, 2019. One entry per day, per person. Four lucky winners will be chosen in a random drawing to win fifty (50) $1 lottery scratch-off tickets on Wednesday, May 29, 2019 at 12:00p. Winners will be notified by phone and/or email. 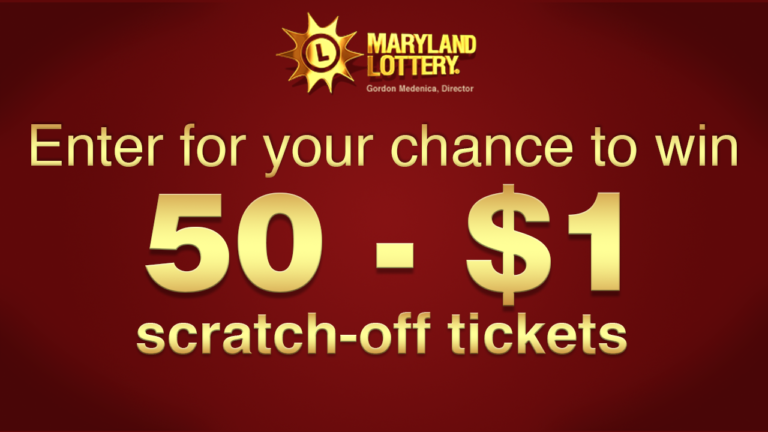 Each prize is valued at $50 as set by the Maryland State Lottery. Prize must be picked up within 7 business days of notification.